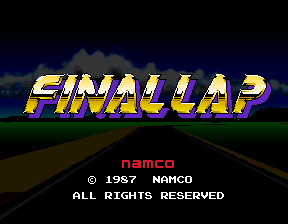 Final Lap is basically a 16-bit version of Pole Position and has a multiplayer function which requires connecting multiple arcade cabinets to each other. Unused car graphics, most of which have developer names written on them. This page was last modified on 3 April 2019, at 12:13.